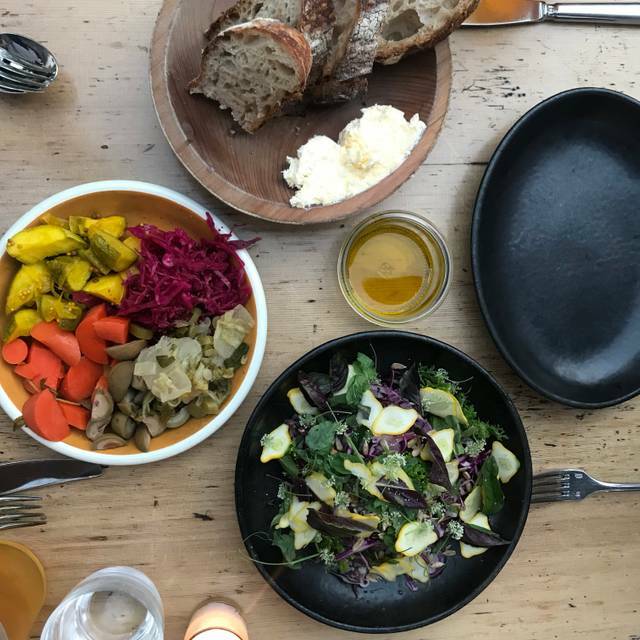 SHED Cafe brings together all of the elements we believe in: responsible farming, ingredient-driven cooking, and flavorful food. 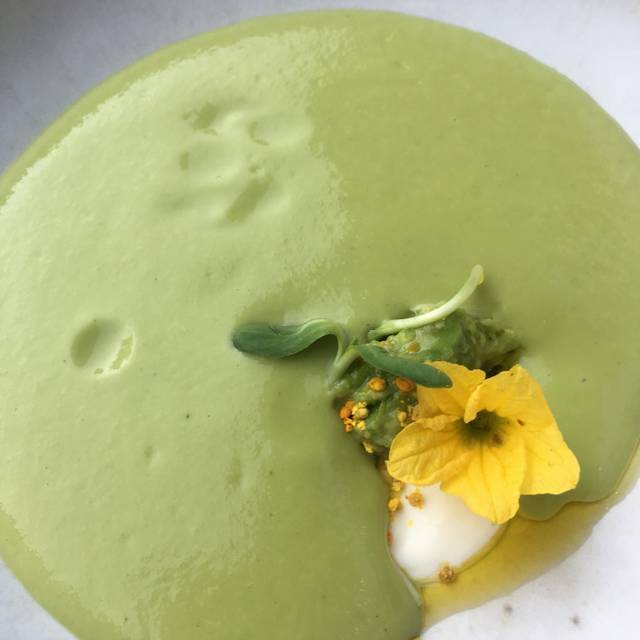 Menus change daily and are inspired by what is in season as well as what is coming from farms and producers within a small radius of the kitchen. The celebrated Fermentation Bar features housemade shims, shrubs, kombuchas, and kefirs. It also highlights a selection of local wines and beer on tap in addition to hard ciders and wines by the bottle. 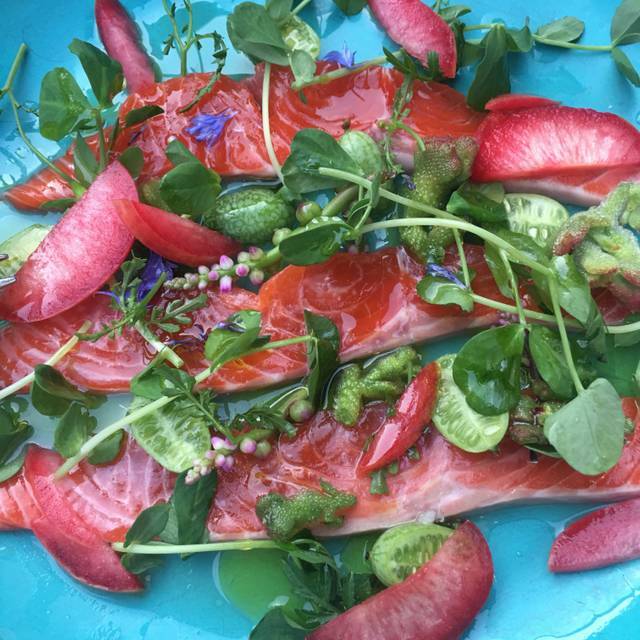 Accolades: The SHED Café was called by the San Francisco Chronicle “The Best Restaurant in Sonoma County” in a three star review by Michael Bauer the chief restaurant critic and chosen as a Top 100 Restaurant for 2016, 2017 and 2018. 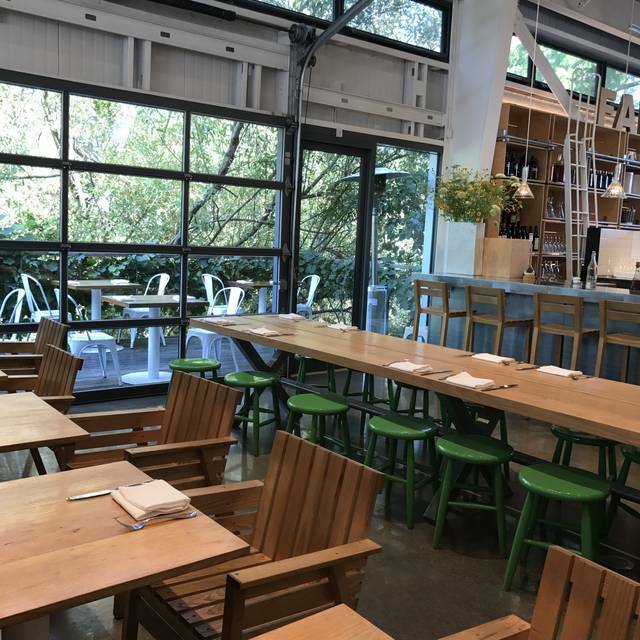 SHED received the James Beard Award in 2014 for Outstanding Restaurant Design. Healdsburg SHED's distinctive agrarian chic makes for a unique entertaining space your guests won't soon forget. Our mission is to celebrate and nurture the connection between good farming, good cooking, and good eating. Street parking and parking lot next to SHED. Great service and location. Spotty, underseasoned, food. Very expensive mains for what we got. 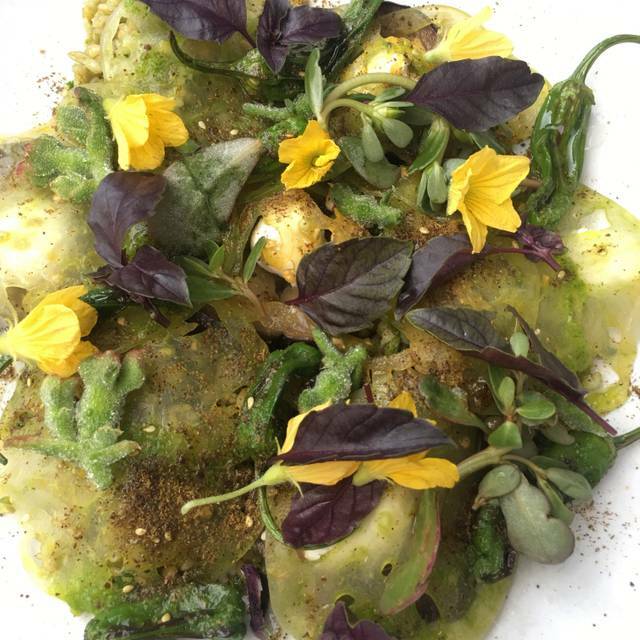 Inedible kohlrabi in black cod dish. Must say that for all the hype and raves about this place, I was so disappointed! We had just come from gourmet Mecca Berkeley and thought this would be a continuation. We had a reservation but still waited an hour to be served after being seated, with no bread offered as you would think might be with such a long wait. then my over priced pizza was totally burnt on the bottom and was only mediocre at most. My son and husband’s lamb hash was like deli ham...not great. The spaetzle my daughter had wasn’t very flavorful. I don’t mine paying for a great meal but this wasn’t even good! the waitress was very nice and removed the pizza cost after I pointed out that it was burnt.not her fault. A totally unsatisfying lunch. Not sure why the lines but you definitely did not rise to your reputation and not sure why you warrant any praise! maybe the holidays and the cooking staff was off. but definitely will not recommend. Best food on the planet. How could you leave us? As always, The Shed was GREAT! Ambiance in general ... food in particular. We had the smoked fish platter for the second time yesterday, Tuesday 11.20.18: we'd been dreaming about our first exposure to this rather incredible offering during the Christmas holiday of 2017. We were not disappointed! It was exquisite. We over-ordered (couldn't resist the tartines) but what we couldn't possibly eat became lunch today ... just prolonging the food high. The only possible improvement is to the music. Not so loud!! Maybe not at all!! (The market vibe of The Shed is background enough ... and very appropriate and stimulating.) All four of the people in our party found the music actually irritating. Fresh innovative California cuisine. Setting and market also innovative and exciting. We were celebrating two very special birthdays and couldn't have picked a better spot. We had the four course chef's menu and wine pairing. It was amazing. What a unique dining experience! The restaurant is within a large warehouse/greenhouse type building which houses a retail boutique for cooks tools and ingredients. We tried several appetizers with our group and were wowed by the creative and healthy and yummy presentation. For example heirloom tomatoes with burrata had a touch of falafel (cumin) which brilliantly complemented the flavors. One of the appetizers had edible flowers on it. My clients loved everything about SHED! Thank you. Innovative but small menu, not so good for picky eaters. I loved it but my dining partners not so much. 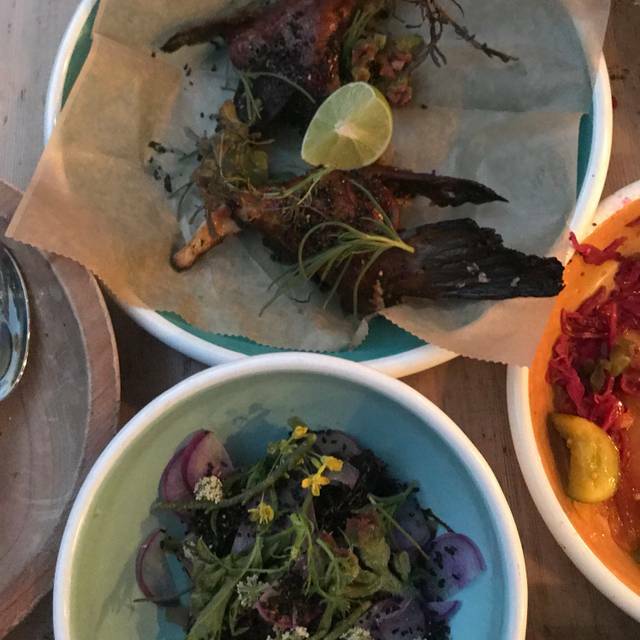 Usually love Shed-With this most recent menu the chef is overly enthusiastic with the Ras El Hanout-giving everything an overly spiced flavor-some of the flavors even clashed. Ordinarily the dishes coming from the kitchen are brilliant but I will wait for a change of menu before returning. Outstanding and inventive cuisine with fresh, local ingredients. Not inexpensive, but definitely worth it. Downtown parking can be an adventure, but we had only a short walk. Note that we dined outdoors on the rear patio. It was quiet there, but the indoor dining sounded like it was quite noisy. You will probably find that "inventive" means flavors and ingredients combined in unexpected ways. This does not always work, but there were no missteps at SHED. The heirloom tomato salad (shared dish) was exquisite, my wife's duck entree the most perfectly cooked duck I've ever tasted. My black cod was a creation to bring tears of joy to someone who grew up on New England seafood. Very nice selection of beers and wines, I chose the MacRostie Chardonnay, simply because I ride my bicycle by their vineyards and winery twice a week--a good pairing with our meals, local, and didn't break the bank. Highly recommended. Hard menu if you need a mix of innovative (their specialty) and basics (less so) to please a group. No beef or pork on the list night we went. Very fish heavy, but not conventionally prepared (which is fine, but made the gluten free or other diets little tricky). Salads were a high point and very foodie-inspired. Oysters on halfshell were the best of the night. $3+ per, but very good! Nice wine and beer options but not a lot of Cab options if you like the big reds. Lovely service team. Bit noisy and they didn't try to seat family friendly groups in one area vs all adults in another so our table and another with 6 adults were having a very hard time talking over crying babies and rowdy toddlers. Think they might want to think this part through given the tons of hard scape surfaces echo and magnify noise heavily. This was some of the best food I have ever had. The tasting was an incredible deal since they brought out little plates not on the menus for us to taste. Everything was delicious with unusual flavors I have never had. Not a single complaint. Staff was wonderful, chef even personally delivered some dishes himself since it was a quiet evening. One of my favorite restaurants and we will be back in the future! 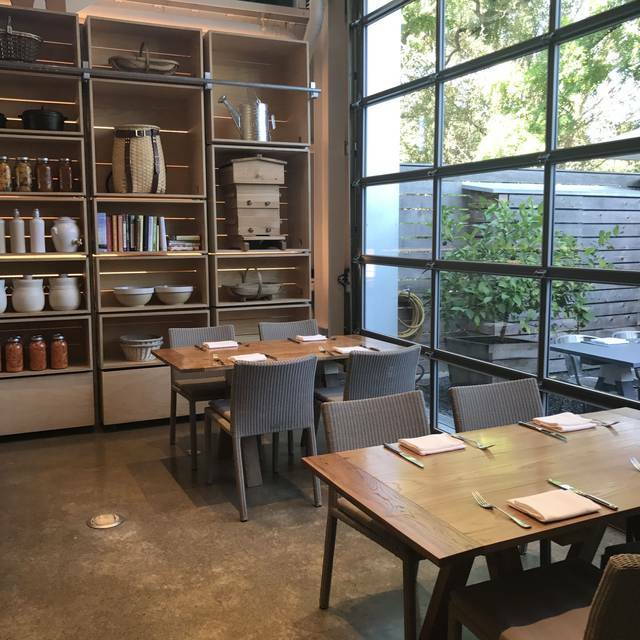 Living in Mendocino County we had heard of The Shed and read reviews so we made our anniversary reservations. We stayed at a near by B&B where other guests had also dined at The Shed. Everyone raved about the quality and inventiveness of the menu. WE loved our gracious server and enjoyed every bite of every dish. It is a MUST for any foodie. They are capable of perfection. Our table was ready, our server was a pro and advocated for us, the drinks were special and the food could not have been better. It isn’t always like this but when it is, it sings! Good Place for people to go. Had a meal while vacationing in Healdsburg and loved the innovative cuisine that would be more expensive at other restaurants. Loved the smoked fish platter and the duck entree was fantastic. The sardines also a real winning choice as was the cauliflower pizza. Nothing we ordered disappointed. This was the second time dining here. Everything was very good. If there were ten stars for this place they would get all ten!! Excellent food. Fresh based on what is available from the local farmers. Taste combinations very interesting and nuanced. Perfectly crafted dishes in a lovely environment served by friendly and well-trained staff. I love the Shed. Every time we're in Healdsburg that's where we eat. The food is very fresh, beautifully presented and so healthy! The chef is very creative with local ingredients. Fabulous food! Perry Hoffman, former chef at Etoile (Domain Chandon) had earned a Michelin Star back then . . . and is now working his magic at Shed - everything we had was phenomenal. 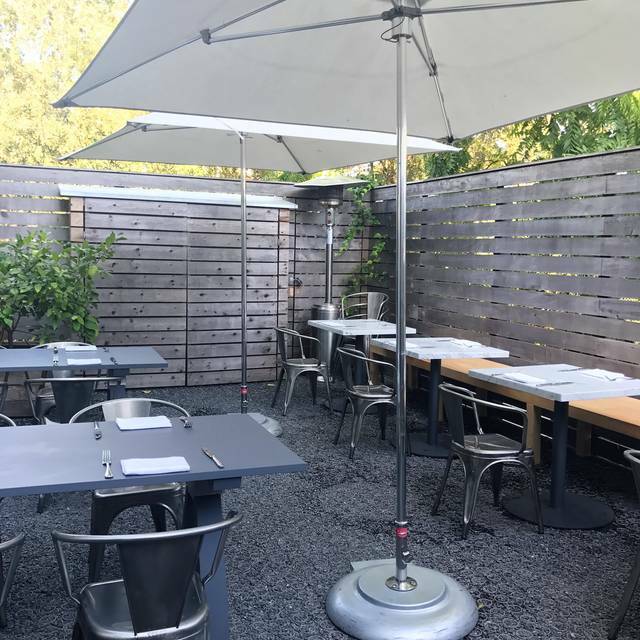 I was in Healdsburg on business for about 3 weeks and stopped at SHED several times after dining at other restaurants for either a glass of port and dessert or just a dessert to take back to my hotel with me. Each time, I had something more incredible than the previous. Their pastry chef is a master! I had the opportunity to have dinner alone one night and the server wasn't very friendly. She could have asked if I'd dined at SHED before like she did the other tables around me but she didn't. Trust me, I'm a friendly, jovial guy so I'm not sure what turned her off, so with no other information I ordered the beet salad thinking I'd order something else after. It turned out being huge, but fantastic and unforgettable. In fact to this day I'll never forget it and have told dozens of people how amazing it was. On the other hand, because it was so big for one single diner I didn't have room for anything else to eat and I didn't want the rest of the salad to go to waste so I ate it all and that was it. Like I said, it was unforgettable as were the different pastries I had. I only wish the server would have educated me a little more about what to expect. I had three glasses of wine, a bread plus the salad and stopped by the pastry counter on my way out so I spent well over $90 for one person so I hope that's not what discouraged her. I'd go back in a heart beat, and I hope to very soon to try some other menu items. Based on the food alone, this scores 95+ points! Very special place with food ingredients that challenge your palate. Highly thought after food formulas that stress variety and feature high quality. Do not miss visiting that place if you are in the area! We did the chef's choice tasting menu. Incredibly creative with salads, amuse bouche and appetizers. Main course was rabbit leg quarter in amazing veggie medley and pumpkin mole sauce. Seriously one of the most inspired and flavorful farm-driven menus I’ve ever seen, and I’ve seen a lot as a farmer and ex-restaurant owner. Only issue was that the service was brutish and rushed. It wasn’t really an issue. I’m pretty chill about service, but the polish level of the service was significantly below the food. We enjoyed the creative and interesting dishes. Everything was delicious and it was a fun evening. Tables of noisy kids distracted from the experience. Had the chefs choice dinner with wine pairings. The salmon carpaccio was fantastic as was the smoked fish taster and cold cucumber soup. Presentation artistic and fresh. The main dish was disappointing-lamb which was quite chewy and heavy overpowering cardamon sauce. Wine pairing was nice with the exception of the Albariño. Great service and beautiful outdoor seating. good to go with a group so you can try all their menu! the strawberry custard was amazing! SHED has lived up to its expectations when the present Executive Chef transformed the style and substance of the menu. He is the third generation of the culinary stars of Napa-Sonoma-Mendocino beginning with his grandparents, who created the original French Laundry in Napa. Centered in the heart of the wine and food richness of Sonoma county, SHED exemplifies the produce, dairy, meat, and poultry of the farm-to-table ethos that makes California the national leader in gastronomy. I adore the beverage creations starting with the Shrub cocktail, so refreshing and complex at the same time. The beet salad was so extraordinary in its complex flavors. SHED continues to use ingredients, not for the sake of another gimmick, but to enrich the palette of each diner. 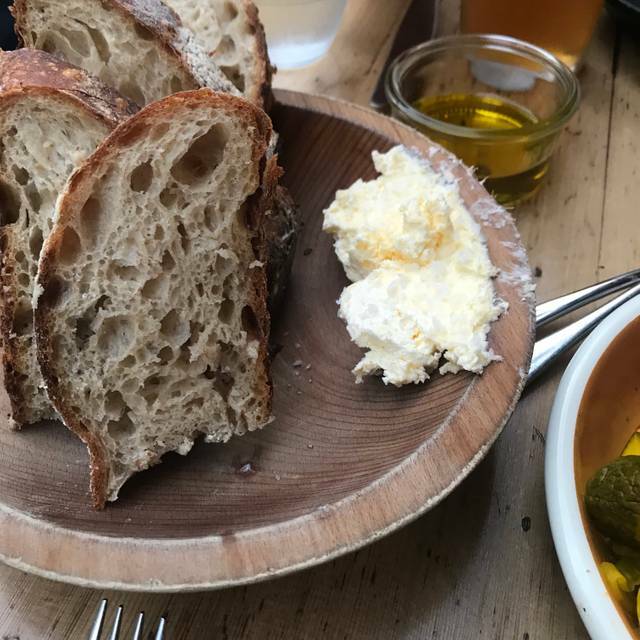 The one thing that I love about SHED is that, unlike its neighbor Napa Valley which has become more of an outpost of New York, SHED is truly Californian. All the greatness of what the wine country used to be - its emphasis on local products, its casual atmosphere, its innovation based on the sense of place. Isn't this why we go to the California wine country? If we wanted an urban scene that is hard-edge and corporate we could go to Manhattan.